Yes the fabulous Devon aka, Mr Rodeo will be with us on Thursday 13th November 2014 to entertain us with his great Country Music and dancing. Talking of dancing, we hope to see a few people joining with Line dancing so if you want to be one of those, don’t forget to book your table by calling Imtiaz on 053 3842 2784 or 0392 842 2784. 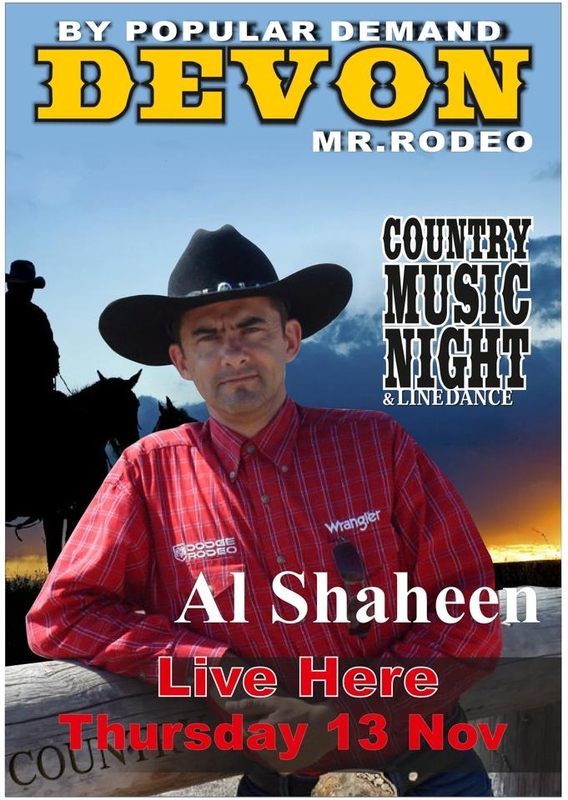 This entry was posted in Special Events and tagged Al Shaheen Restaurant, Country music, Devon, Karakum, Kyrenia, Northern Cyprus, Rodeo Man by kyreniacommentator. Bookmark the permalink.